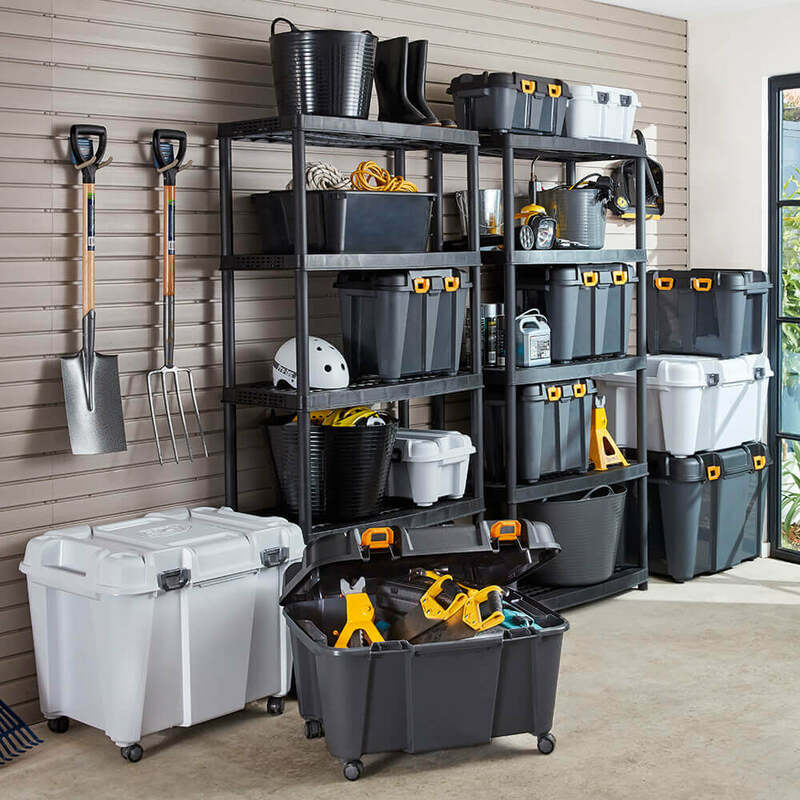 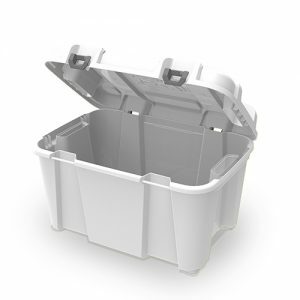 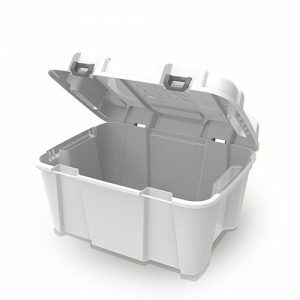 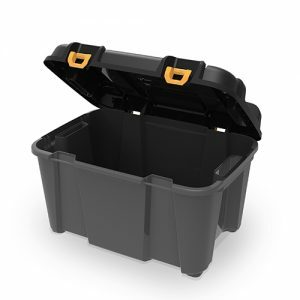 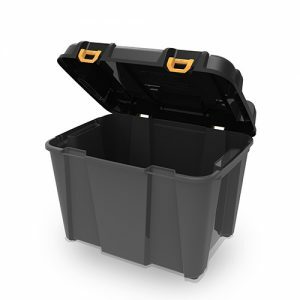 The 35L Bunker is a heavy duty storage container designed for professional trades and garage storage. 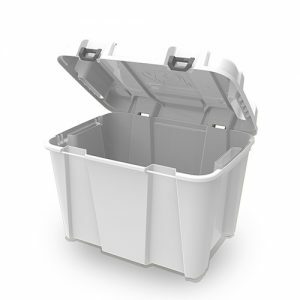 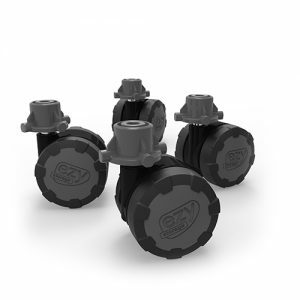 It features a large comfortable handles, pad-lockable lid, UV resistant, dual hinging and self-draining lid. 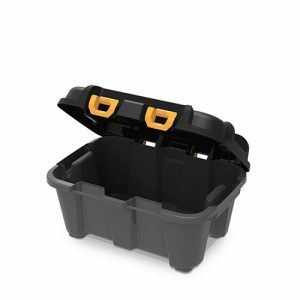 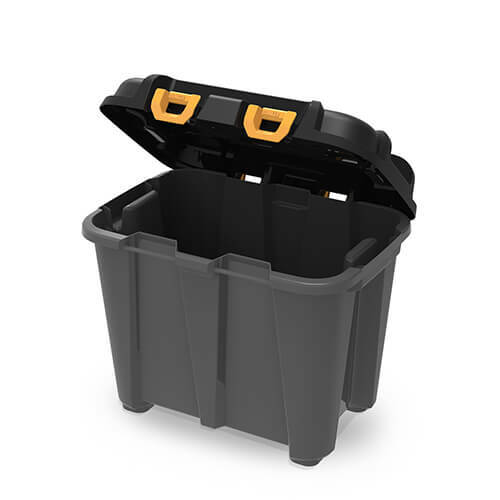 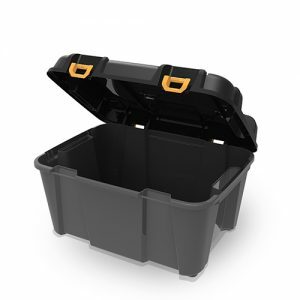 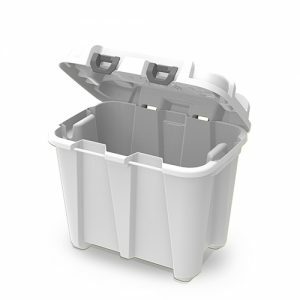 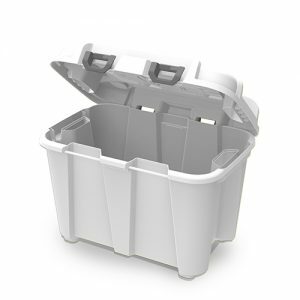 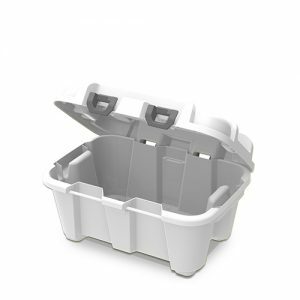 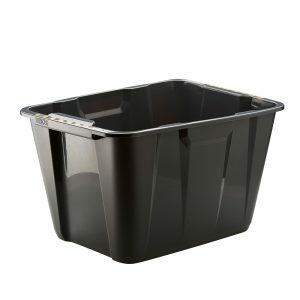 The rugged design and construction of the Bunker container makes it a must have for any serious DIYer or trades person.